STC Clothing.... order by tomorrow !! March 31st !! OK, we were having technical difficulties with the Store Front of Champion but it should be all sorted now. You can order until tomorrow evening. Make sure to get on it, since we're going to lock it down and process the order so people get their kit in a reasonable time. Here is the link to the store front. 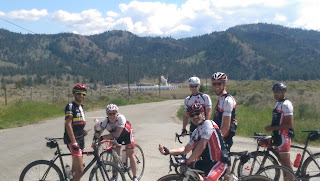 STC traditionally runs a training camp in Penticton BC the week before the Victoria Day long weekend in May. This year's edition will run May 14-19 with the option of riding thru the long weekend. Riders are responsible for arranging accommodations and transportation but the group meets every morning for a ride and sets a location for evening dinner. Rides vary in length from about 100 km up to about 160km. Because the team is in a rebuilding phase the number of attendees are down, last year we had 7 riders, which worked well because everyone was at about the same level of fitness. Right now there are 5 people expressing interest and a couple of possibles. Past rides had as many a 30 attendees. If you're new to the team and haven't ridden the roads south of Penticton this should be on your bucket list. Contact me if you're interested and I can tell you more. Once we confirm numbers and commit to going I'll post more info on this blog, so periodically check back here for updates. It looks like we're going to have enough cyclists for 2 heats tomorrow night! Come at 5:45pm and we'll put all the women and some of the guys in the first heat, and the rest in heat 2 that goes at 7:20pm. 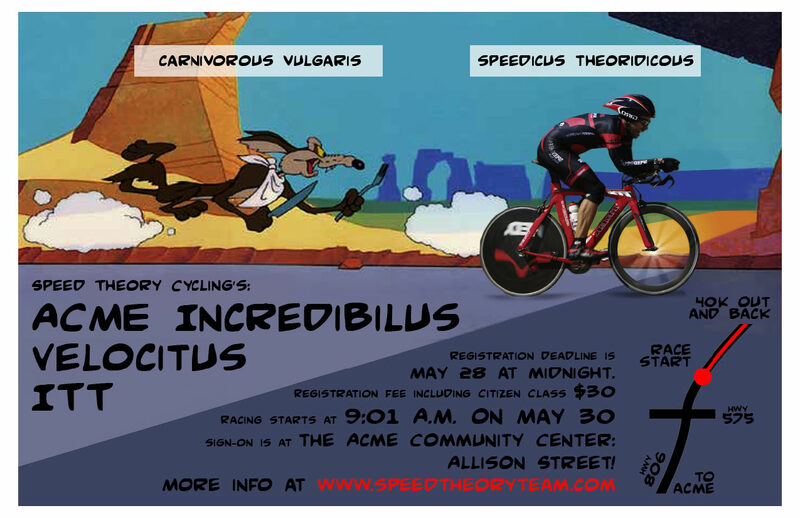 If you aren't racing, come at around 6pm and cheer the first heat on while having a beer and pizza! Kids welcome. CLOTHING: NOTE, there is something wrong with the clothing portal currently, I will contact Champion on Monday and get it fixed and extend the deadline to the 23rd. I want to order it soon though so we have it in time for the spring races. Trev, Marie, Darcy, Dennis, and Michael. 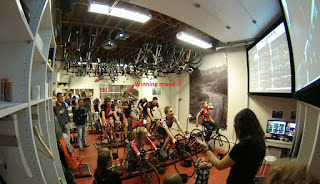 STC Indoor Race #3 (March 18th) Other clubs welcome. We had a great time with the 21k race and a huge turnout! Several people gained valuable time with the beer rule. Unfortunately I'd need to have like 3 beers to really make a dent in some of those times! Next Saturday the 18th of March. Warmup for heat #1 starts at 5:45pm and race starts at 6pm sharp! A second heat is a real possibility and as this is a long one, we'll add a heat every hour or so. This month's joy de vie, is the infamous 14.6km Latigo Hill climb. A hotly contested Strava segment, inside and out. Bring your "climbing bike" as this baby is 14.6km uphill. Again, (because it was so much fun) we will be inviting a few members from some other clubs to increase the quality of trash talk. If you have little people, bring them. There will be toys, games, crafts and food for the little ones and some monitoring from some very responsible tweens. We'll make sure the music is loud. STC Clothing !! ORDER BY March 19th !! I have opened the Champion Systems Clothing portal and selected what I think are the most appropriate items to order from. I have tried to limit the offerings so new members aren't too overwhelmed. For new members: All you really require is a Jersey (and get the 'Tech Short Sleeve' if this is your first year). if you plan on competing in any of the midweek or weekend events. However, you look way cooler in a full kit, so if you can, get the Bibs or Shorts as well. If this is your first year, get the least expensive stuff and then work up from there if required. Some cyclists never get the expensive stuff, it is purely a matter of preference. Here is the store link !! The store will CLOSE at midnight on March 19th.... for real! 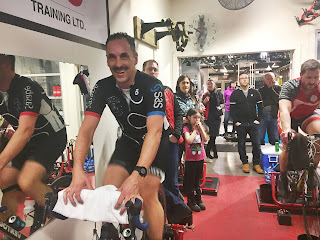 Great times at the STC AGM/Party/Race last night. It is well known that I am a terrible Beer Miler, but I may have finally found my calling: Beer Bike Racing! 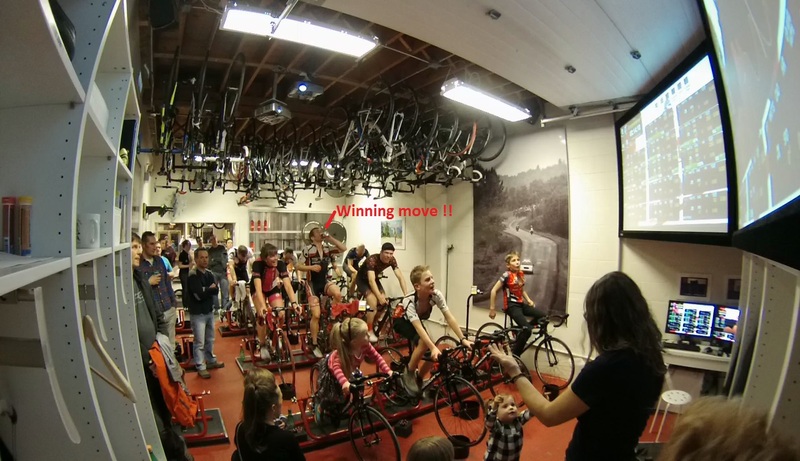 The rules were simple: 10km Rolly TT. Fastest time wins. Bonus 2min if you drink a full beer inside the race and keep it down. Bonus 1min if you drink a full beer inside the race and don't keep it down. What I seriously lacked for in watts compared to about 7 cyclists last night, I made up for in beer consumption!! Fun STC party, Trev hitting a 'Beer Breakaway'. Keep you eyes on this page for the next event in a couple weeks! We'll also be posting the clothing order here soon. Thank you to everyone who came last night. See you all soon! Marie and Trev will have their kids there. We will plan to hold an efficient, concise AGM to lay out some of the plans for the club this year as well as an update for the new and improved JLap. Then we can kick back, and enjoy some bevy's, snacks and the wicked company of teammates. If you have a friend that is considering joining, please bring them along. They will get a great feel for our club's culture. 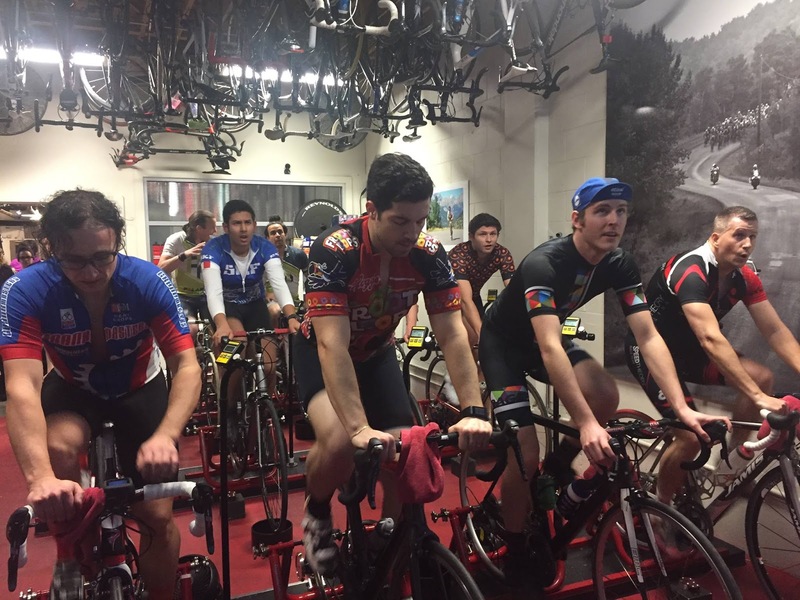 Monthly indoor races/rides will be scheduled starting with our January AGM, and continuing until the weather beckons us to take the trainer tires off. Clothing orders will be taken shortly. We typically do two orders, in Febuary and June. With so many of us riding later in the season and testing the waters of "Cross" don't forget to add a fleece lined winter kit in there! This year we are hoping to offer skills clinics and a bit more formal guidance for new and newer racers. The Women's "Learn to ride and race" weekend will happen in April. 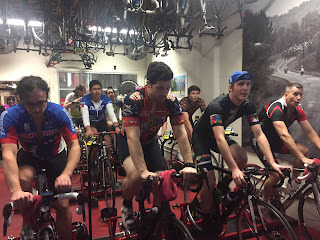 We would like to also add in Men's Cat 5 "Road Race" and "Crit Race" clinics in addition to the ABA learn to race weekend that they typically offer. If you have any other ideas for what you may be interested in or would like to offer, hunt one of us down at the AGM or shoot us an email!